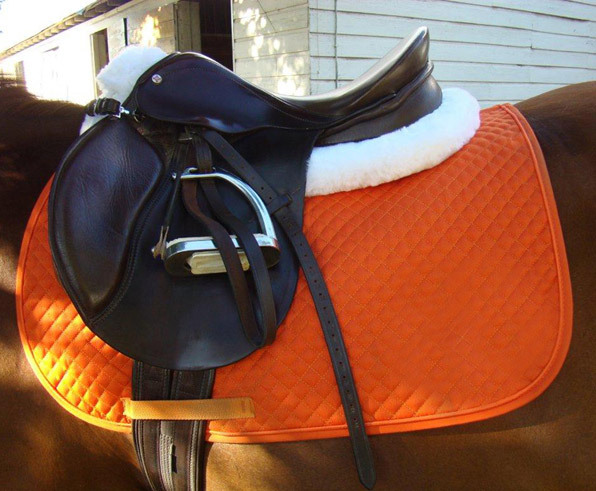 This lightly cushioned pad is just right for most horses and is a fashion statement without being unconventional. 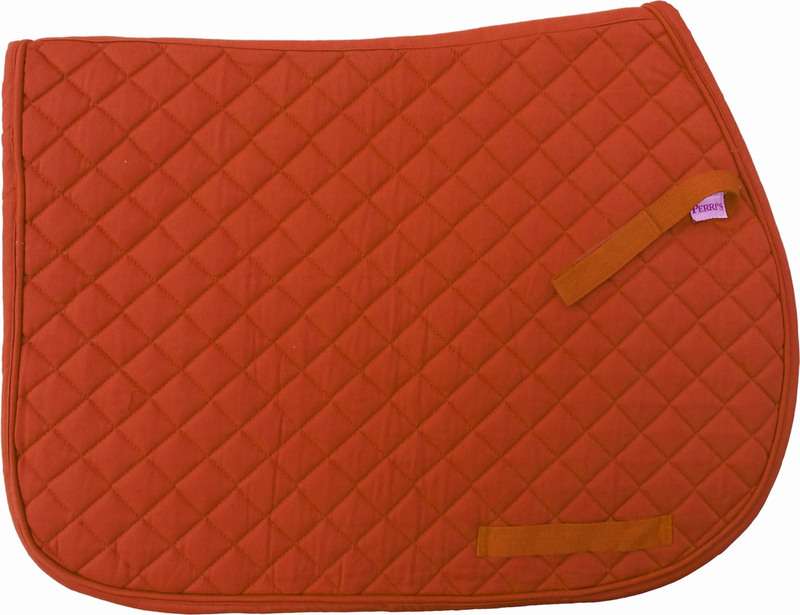 AP english horse saddle pad with 1.5 inch wide quilt squares. Measures 27.5 inches front to back with a 20 inch drop from spine to hem. Cotton top and bottom with foam/poly fill inner cushioning. Contoured topline to fit, not bunch. Billet and girth loops. Machine washable. 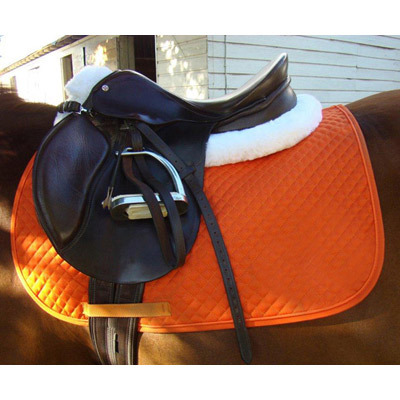 Review Text: I have a most wonderful golden Dun quarter horse who has a beautiful orange stripe up his back from the base of his tail to his forelock. He looks SUPER in orange. It is very difficult to find orange clothing for him! 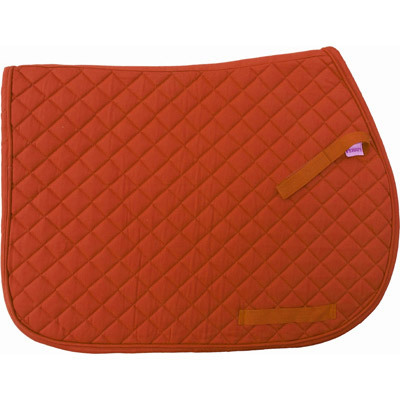 I have been searching for a good quality English saddle pad of the appropriate color for four years. Then….this lovely pad. Great quality, great fit, and the color is perfect.